Knocking a microcontroller into sleep mode and waking it up on demand or in intervals is common practice in many low power applications, enabling devices to stay in operation for years on a single coin cell battery. Since there are tons of applications where you might want to do similar things with a Raspberry Pi, [Patrick Van Oosterwijck] created the LiFePO4wered/Pi. The module that snaps on to eight GPIO pins of a Pi, extending it by a long life LiFePO4 battery, a charging regulator, and a proper power management. Obviously, it also makes a great UPS. 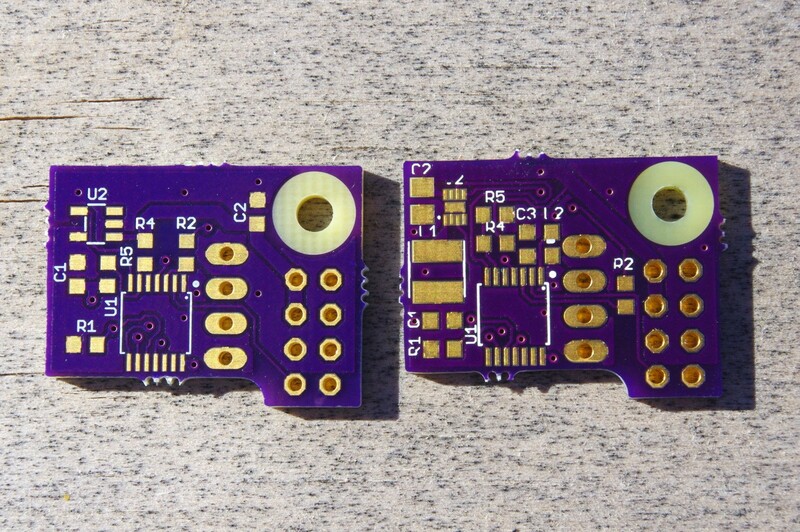 [Patrick] realized this project by expanding his already available and equally useful LiFePO4wered/USB charging regulator module by a low power MSP430G2131 microcontroller and a load switch. A daemon on the Raspberry Pi speaks to the module over I2C, allowing you to schedule a wake-up timer, let your Pi autoboot after a power outage or just read out the current battery voltage through a command line tool. Once the Pi is safely shut down, the microcontroller will also go to sleep, resulting in a standby current of 8 uA for the whole system. Together with the 500 mAh LiFePo4 cell, that’s theoretically low enough to send your Pi-ncess into a seven-year-long sleep. LiFePO4wered/Pi is not only good for sleeping, though. [Patrick’s] runtime tests show, that the 500 mAh cell will power a Raspberry Pi Zero and a WiFi dongle for about two hours. Because the Raspberry Pi and many USB peripherals won’t complain when only 3.2 V are present on the VBUS, [Patrick] was able to squeeze out even more runtime by dismissing the boost converter from the design and driving the Pi directly from the battery voltage. If that worries you, you can either read a detailed explanation on why that works so well or just have a look at the more compliant 5 V version. Eventually, [Patrick] used his module to create a Raspberry Pi time-lapse camera. A little script lets the Pi take a picture on boot up, set a wake-up timer and go back to sleep again. 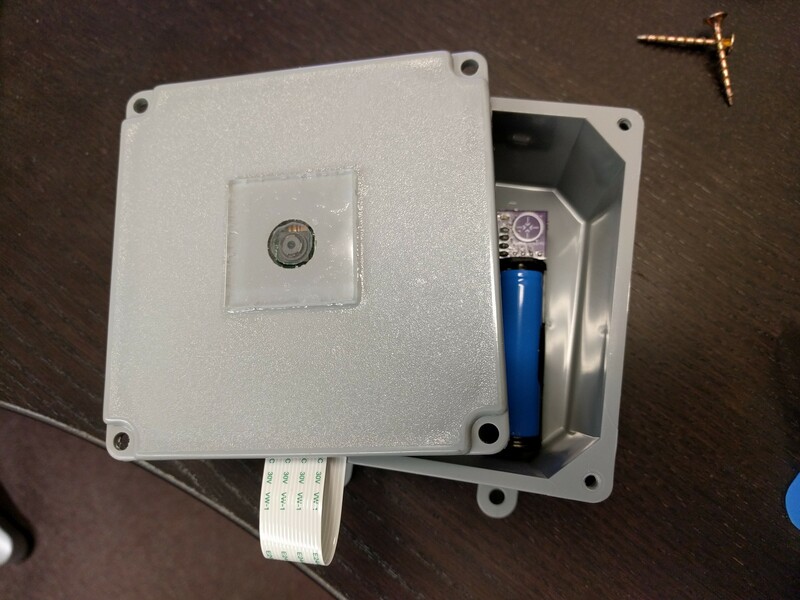 Safely enclosed in a waterproof electric box and deployed into the wild, the camera took 120 pictures on a single charge. What do you get when you cross a photographer with an Arduino hacker? If the cross in question is [nukevoid], you wind up with a clever camera rail that can smoothly move with both shift and rotation capability. The impressive build uses an Arduino Pro Mini board and two stepper motors. One stepper moves the device on rails using some Delrin pulleys as wheels that roll on an extruded aluminum track. The other stepper rotates the camera platform. The rotating platform is very cool. It’s a plastic disk with a GT2 motion belt affixed to the edge. The stepper motor has a matching pulley and can rotate the platform easily. The GT2 belt only goes around half of the disk, and presumably the software knows when to stop on either edge based on step counts. There’s even a support to steady the camera’s lens when in operation. The tuatara is a reptile native to New Zealand, and thanks to the descendants of stowaway rats on 17th century ships, these little lizards are critically endangered. [Warren] was asked if he could film one of these hatchlings being born and pulled out a Raspberry Pi to make it happen. [Warren] constructed a small lasercut box to house the incubating egg, but he hit a few snags figuring out how to properly focus the Raspi camera board. The original idea was to use a Nikkor macro lens, without any kind of adapter between it and the camera board. A bit of googling lead [Warren] to this tutorial for modifying the focus on the Raspi camera, giving him a good picture. The incubator had no windows and thus no light, making an IR LED array the obvious solution to the lighting problem. Time was of the essence, so an off-the-shelf security camera provided the IR illumination. After dumping the video to his computer, [Warren] had a video of a baby tuatara hatching. You can check that out below. First person video – between Google Glass, GoPro, and other sports cameras, it seems like everyone has a camera on their head these days. If you’re a surfer or skydiver, that might make for some awesome footage. For the rest of us though, it means hours of boring video. The obvious way to fix this is time-lapse. Typically time-lapse throws frames away. Taking 1 of every 10 frames results in a 10x speed increase. Unfortunately, speeding up a head mounted camera often leads to a video so bouncy it can’t be watched without an air sickness bag handy. [Johannes Kopf], [Michael Cohen], and [Richard Szeliski] at Microsoft Research have come up with a novel solution to this problem with Hyperlapse. Hyperlapse photography is not a new term. Typically, hyperlapse films require careful planning, camera rigs, and labor-intensive post-production to achieve a usable video. [Johannes] and team have thrown computer vision and graphics algorithms at the problem. The results are nothing short of amazing. The full details are available in the team’s report (35MB PDF warning). To obtain usable data, the fisheye lenses often used on these cameras must be calibrated. The team accomplished that with the OCamCalib toolbox. Imported video is broken down frame by frame. Using structure from motion algorithms, hyperlapse creates a 3D models of the various scenes in the video. With the scenes in this virtual world, the camera can be moved and aimed at will. The team’s algorithms then pick a smooth path that follows the original cameras trajectory. Once the camera’s position is known, it’s simply a matter of rendering the final video. The results aren’t perfect. The mountain climbing scenes show some artifacts caused by the camera frame rate and exposure changing due to the varied lighting conditions. People appear and disappear in the bicycling portion of the video. One thing the team doesn’t mention is how long the process takes. We’re sure this kind of rendering must require some serious time and processing power. Still, the output video is stunning. [themonkeybars] recently uploaded a time-lapse video of his DIY synthesizer build. First off the video itself is a pretty neat hack. An iPhone time-lapse app was used to capture one frame every 5 seconds. By the time the build was complete, approximately 46,000 frames had been snapped. This boiled down to over 43 minutes of youtube footage. [themonkeybars] didn’t work full time on the project, so the video covers about a year’s worth of work which we think makes it even cooler. The synth is also featured in much of the video’s soundtrack.